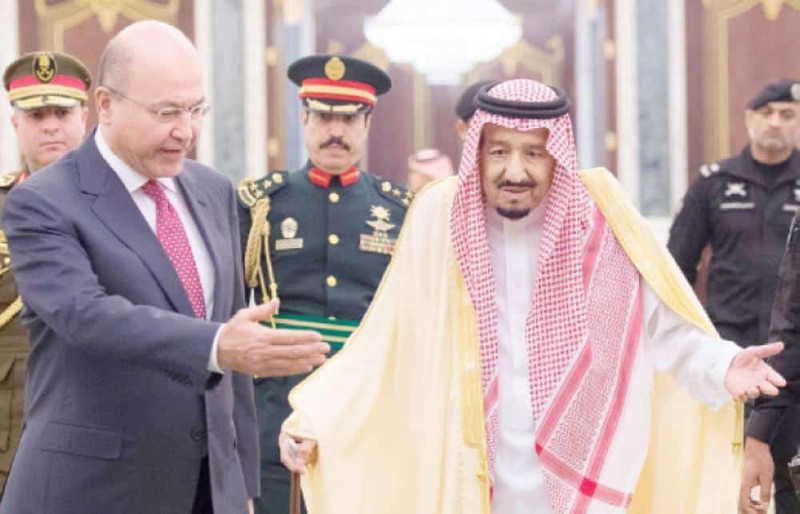 King Salman held talks with Iraqi President Barham Salih at Al-Yamamah Palace in Riyadh today. They reviewed the close relations between the two brotherly nations and ways in which to further strengthen and develop bilateral ties. The Iraqi President visited Saudi Arabia as part of his five nation tour during which he visited Kuwait, Jordan, UAE and Iran. The international tour is President Salih’s first official engagement since taking the Presidential office in October of this year.